Usually celebration comes after the victory, but Senator Ademola Adeleke has so much optimism that it has become infectious, gripping the larger public and holding them spellbound. Not much was known about the Senator representing Osun West Senatorial District of Osun State until the demise of his older brother, Senator Isiaka Adeleke, a former governor of the state. The clamour to replace his brother who a senator of the All Progressives Congress (APC) whipped up so much sentiments for the Adelekes Ede in Osun State. The APC wanted another candidate, this pushed Adeleke to the PDP. Many thought he was relatively new and naïve, lacking the experience to navigate the murky waters of Nigerian politics. He entered the contest and fought gallantly to emerge winner, even if with a slim margin of seven votes, to become flagbearer of the PDP for the Osun governorship contest. The assumption in many quarters was that the opposition parties, particularly, the APC aided the emergence of Adeleke. In their calculation, he was going to an easier foe to triumph over. Earlier, the man who should given Adeleke the stiffest opposion in the PDP, Senator Iyiola Omisore, exited the party when he sensed that he was not favoured the win the party’s primary. Omisore, a former deputy governor of the state and a veteran of many political battles saved his face from imminent defeat by moving over to the Social Democratic Party (SDP). As political calculations go, not many considered the interesting background of Adeleke. He was born to the family of Ayoola Adeleke, a Muslim father and Nnena Esther Adeleke , an Igbo Christian mother in Enugu. His father was Late Senator Raji Ayoola Adeleke the Balogun of Ede land in Osun State, a politician in the Second Republic and political leader of the defunct Unity Party of Nigeria (UPN) working alongside the premier of Western Nigeria, Chief Obafemi Awolowo. 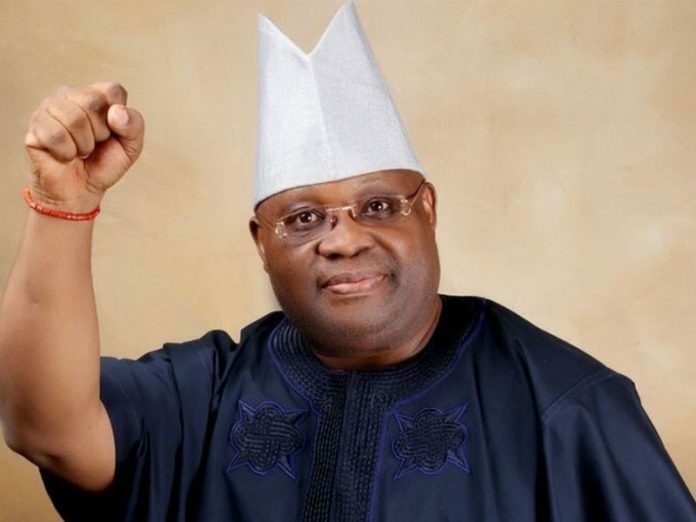 His older brother, Alhaji Isiaka Adeleke continued the political heritage of the family, becoming governor and senator. The widely held notion was that he was poised to run for governor of Osun State again on the platform of the APC and may have exited the party, if he did not clinch the ticket. Ademola Adeleke is a business man and administrator, he was the Group Executive Director at his brother’s company, Pacific Holdings Limited from 2001-2016. Prior to joining Pacific Holdings Limited, Ademola had worked with Quicksilver Courier Company in Atlanta, Georgia, USA as a Service Contractor in 1985-1989. He progressed to Origin International LLC, Atlanta, Georgia, USA a flavours and fragrance manufacturing company as Vice President from 1990-1994. Senator Ademola Adeleke is a community member and philanthropist. Adeleke started his political career in 2001 alongside his late brother Senator Isiaka Adeleke who died in April 2017. He contested at the Osun west 2017 by-election after the death of his brother, emerging as the winner under the People’s Democratic Party. Adeleke was accused and charged to the Osogbo high court for forging his secondary school Testimonial and WAEC result in order to cancel his governorship candidacy. The Testimonial Adeleke submitted to INEC dated July 20th, 1988 as its Heading Ede Muslim Grammar School, Osun State, as at that year Osun state was not in existence. Also the SSCE results indicated in the testimonial shows that the mode of examination wasn’t existing in the year 1981[. Another Testimonial with the Heading Ede Muslim High school dated 2018, indicates that the Principal which signed the 1988 Testimonial also signed the 2018 Testimonial, this led to the arrest of the Principal by the Nigerian Police. [ Adeleke’s lawyer in his defense claims his secondary school hasn’t come out to deny his Testimonial asking the court to dismiss the case. The court dismissed the suit stating that the plaintiff could not prove Adeleke’s forgery of the certificate. Though it has been confirmed that Adeleke did not graduate from Jacksonville State University (JSU),min Alabama, United States of America, as claimed, the people do not care about this. His academic claims have, however, been brutally challenged. According to recently circulated claims, Adeleke registered for GCE O’ Level in 1981 but had F9 in English Language and was recorded absent for other subjects. It also said he has no degree from JSU where he registered as Jackson Ademola Adeleke. Adeleke is steadily inching his way his political ambition. If he emerges winner after tomrrow’s supplementary election, he would be the second Adeleke brother to rule Osun State. It would be an unparalleled achievement for Adeleke and his family. He has hardly spent two years in the senate, where his target achievement is “to sponsor Bills that would be impactful on my people, especially youths and women.” The senator has in fact not notably sponsored any bills since his election into the red chambers. But it was not so much the court’s dismissal of the case as the people’s faith in him that urged him on. No matter what he had done wrong, in the eyes of the people, he was seen as a victim who needed their support. And they came out in their numbers to sing his praise. However, since Ademola Adeleke was hardly known to them, he was simply reaping from the goodwill of his late father and his older brother. Adeleke ran for Osun state governorship election under the PDP against top contenders Alhaji Gboyega Oyetola of APC and Iyiola Omisore of SDP on the 22nd of September, 2018. 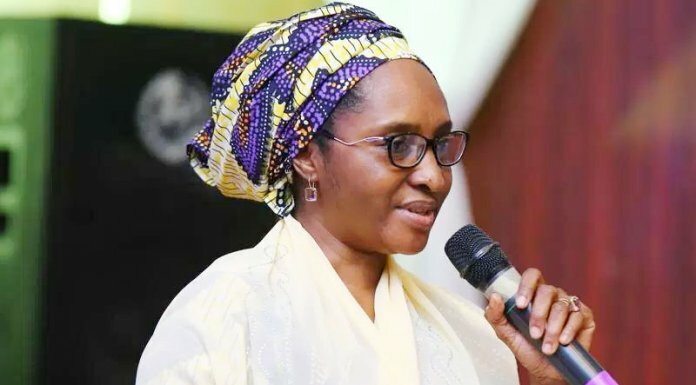 The election was declared inconclusive by the Independent Electoral Commission (INEC) and a rerun slated on the 27th of September, 2018. Adeleke has said no one should use his dancing against him because everybody dances. 8. “Anybody who fails to pay his or her labourers is wicked and I can boldly say that the APC government is wicked for not paying its workers and pensioners in the state. 9. “The menace of non-payment of salary is responsible for the 29th position of this state in the ranking of WAEC; but when I get to power, I will turn it around by ensuring that the welfare of every worker in the state is catered for.